Today is the 210th anniversary of the Rue Nicaise attack, the topic of my second novel, For the King. The assassination attempt against Napoleon Bonaparte missed its target, but killed or maimed dozens of innocents.Today is the 210th anniversary of the 1800 Rue Nicaise bombing, which is the backdrop of my second novel, For the King. The assassination attempt against Napoleon Bonaparte missed its target, but killed or maimed dozens of innocent Parisians. Who were the Christmas Eve assassins? Let us begin with Joseph de Limoëlan, the head of the conspiracy to assassinate Napoléon Bonaparte in Paris. 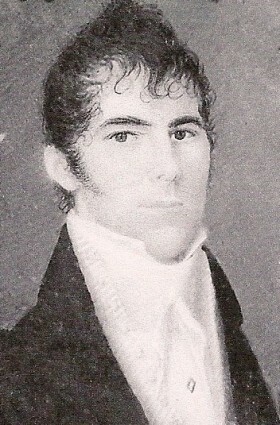 He was 34 years of age at the time of the attack, a tall, handsome man with blue eyes and dark hair, gold-rimmed spectacles and an aristocratic air. 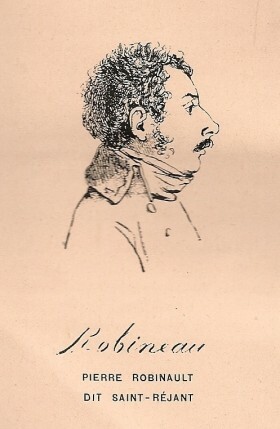 After years spent as a Chouan, a royalist insurgent, he is the one who planned to detonate the bomb, placed on a horse-drawn cart, in the midst of a busy street. All the busier that evening because people wanted to see Napoléon Bonaparte’s carriage on its way to the Opera. It was also Christmas Eve, the shops and cafés were still open, and many were headed for the houses of friends to celebrate the holiday. That did not give pause to Limoëlan, though he had to know that the collateral damage would be atrocious. There were dozens of casualties, and so many houses were blown up that the street itself was later condemned and destroyed in its entirety. Limoëlan himself had found a little street vendor, a girl by the name of Marianne Peusol, to hold the bridle of the horse that drew the carriage. He had to know that the child, closest to the bomb, was sure to die. The man was the coldest of cold-blooded killers. Yet he was engaged to a young lady, a friend of his sisters, and every clue I found pointed to an attachment that was mutual, and very deep. I also found out that his father and several of his relatives, prominent members of the nobility of Brittany, had been guillotined in Paris a few years earlier as royalist conspirators. That is no excuse, of course, but it puts Limoëlan’s hate for the city and its inhabitants in perspective. Pierre de Saint-Régent, who was Limoëlan’s second in command, was no less interesting. He was also a nobleman from Brittany, though from a minor and impoverished family. His pointed nose gave his face the look of a ferret, and he did not have the elegant manners of his comrade. Hardened by years of combat, first in the Royal Navy before the Revolution, and later in the royalist insurgency, he was the one who actually lit the fuse that detonated the bomb. Nevertheless, in the days that led to the attack, Saint-Régent took great pains, and great risks, to purchase a pug, and order a sterling silver dog collar to present to his “lady.” Who was she? The real investigation never uncovered her identity, but trust a historical novelist to fill in the blanks… Of course the lady in question is one of the fictional characters of For the King. The third assassin, François Carbon, nicknamed Le Petit François, Short Francis, is quite a different sort of character. I discovered someone totally repulsive, physically and morally. Squat, fat, abusive, vulgar, garish in his dress, and yet fancying himself a great favorite with the ladies… Also a Chouan, Carbon accompanied Limoëlan to Paris as his valet and jack-of-all-trades, and he helped the two other men drive the cart on which sat the bomb to Rue Nicaise. Comical as he may seem at times, he too was a killer. I could not find any portrait of him, though he is easy to picture from the descriptions of witnesses. “How-to” manuals purporting to teach the craft of writing warn the would-be novelist to stay clear of characters devoid of any nuance. But in this case I couldn’t help it: the real François Carbon was as I describe him in For The King. And actually some readers tell me they found him totally compelling, repellent as he is.